Tina Turner and The Rolling Stones met during a tour in England in 1966. From that point on, Mick Jagger and Tina Turner developed a relationship that grew until they became close friends. Over the decades since they have shared the stage multiple times and influenced each another in the process. 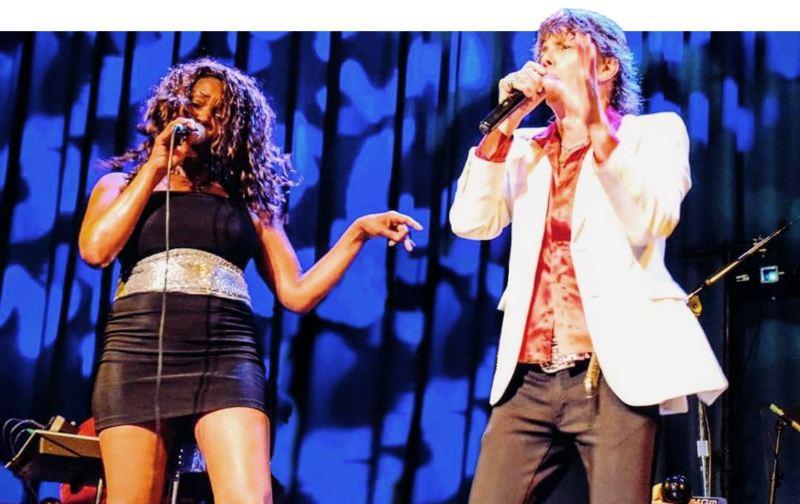 “Tina Rolling with the Stones” is a tribute show featuring Pam Hawkins as Tina Turner and Rudy Colombini as Mick Jagger, backed by the Unauthorized Rolling Stones. It’s a dynamic evening of Rolling Stones classics and Tina Turner favorites performed by two of the best in the business.